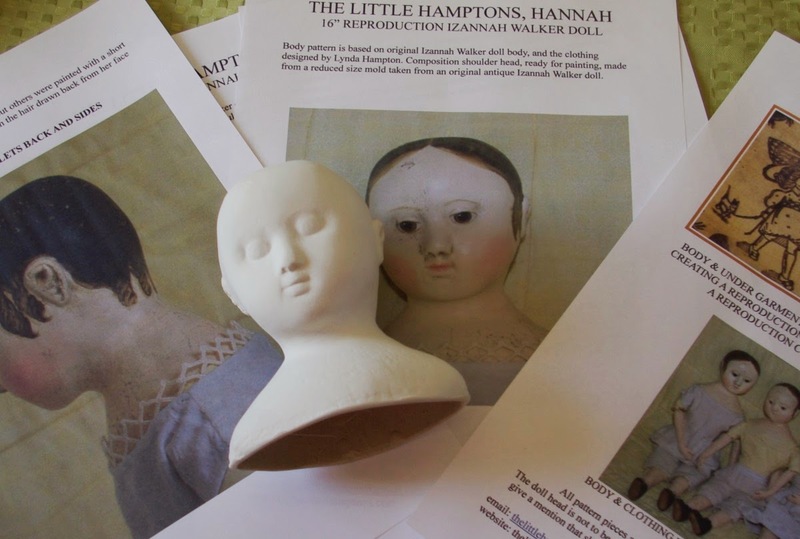 I have been working on putting together some kits for the smaller Izannah Walker reproductions for the last few weeks and can now offer them for sale. The kit consists of a 29 page for Eliza and Patience or 30 page for Hannah PDF file for the instructions, pattern for body, underwear, second skin as well as helpful pictures, and an unpainted shoulder head. 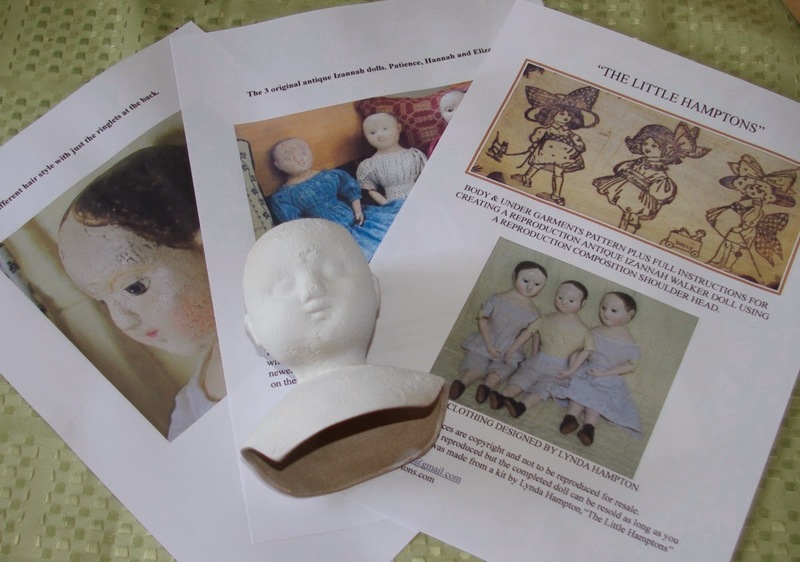 There are 3 doll making kits to choose from. One kit for Patience makes a 15" doll and the other 2 are for 16" dolls. 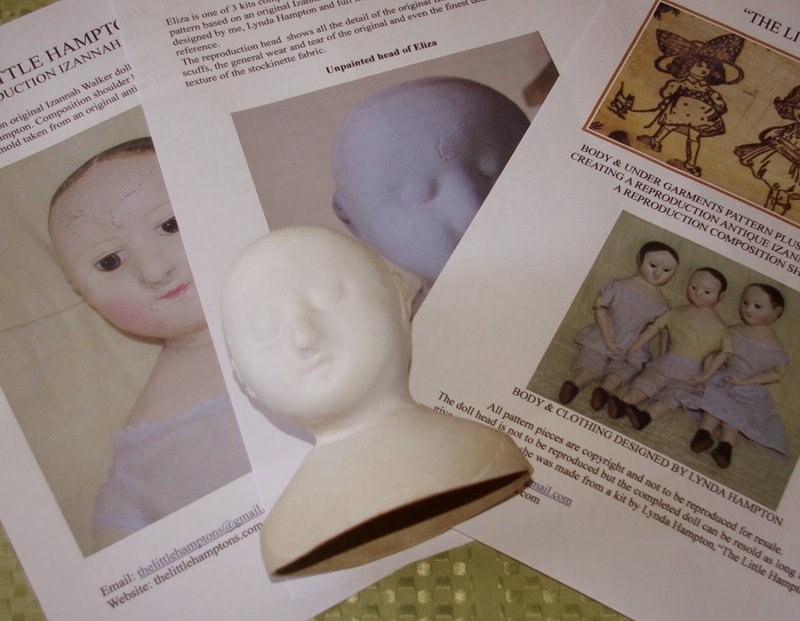 They are made from a reduced in size mold taken from three antique Izannah Walker dolls. Body pattern is based on original Izannah Walker doll body, and the clothing designed by me, Lynda Hampton. You will need to purchase your own fabric, stuffing and paint etc. The reproduction heads show all the detail of the original Izannahs including wear and tear of the original and even the finest detail such as the texture of the stockinette fabric. Truly amazing. Kits are all $160AUD with free postage worldwide for the heads. If you'd like to purchase a kit I can send you an invoice for you to make payment with with Paypal. I will email the PDF file for you to save and print out on your home computer/printer. If you have any questions or would like to place an order please use the the email link at the top right hand side of the page. 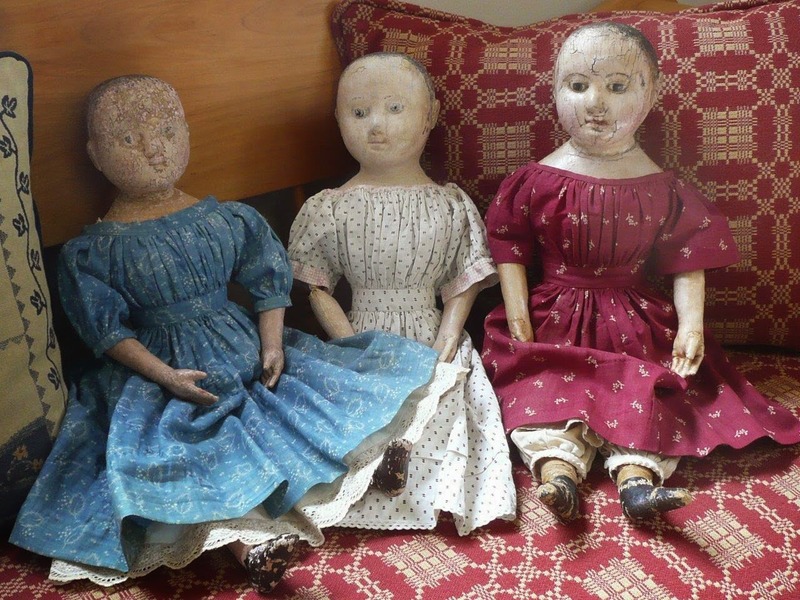 These are the 3 original antique Izannah Walker dolls used for the molds. 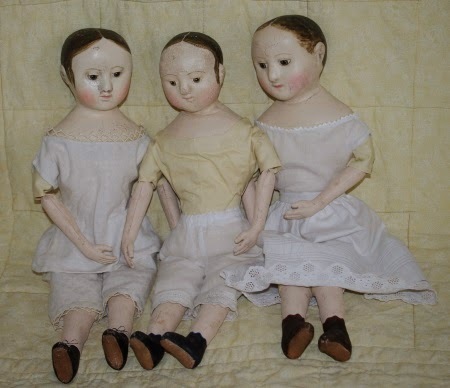 My three reproduction Izannahs put together using the body pattern designed for the kits dolls. They are wearing the undergarments made from the pattern. I recommend this kit for someone with sewing and painting experience as some level of skill is required. If you would like more pictures or you have any questions, feel free to contact me. All pattern pieces are copyright and not to be reproduced for resale.